Camber Option: Camrocker. Camber under foot and rocker in the tips. Conditions: Sunny blue skies with a few clouds, warmer spring temps, snow that went from mashed potatoes to firm and fast. Flex: They claim this board is on the stiffer side of a twin, it’s not. It’s a middle of the road park flex. Playful yet snappy in the tips, stable under foot, and a bit of give in the middle. The torsional give matches the lateral give. Stability: This board much like many others is stable to a point. In giant push mounds as well as in moguls and ruts it didn’t buck me or feel like it was going to wash out. You can feel a bit of the vibrations underfoot but nothing so much that it fatigues you. Ollies: This board has serious snap. You want to ollie a four foot high slow sign? Go for it. That kid fall in front of you? Boost city. The camber zone lets you load the board up while the rocker zone helps give it a skate styled snap. Pop On Jumps: This board is at home on jumps whether small or large. You can hit every varying sized one and not worry. The snap of this board only accentuates what the pop of a lip can do for you. Butterability: The tips lock in really well to presses due to the rocker, but the camber gives the snap you want out. Get sideways, get weird, spin and swivel all you want. This board can do it with ease. Jibbing: Some might struggle with slow speed jibbing because you do have to put a bit of effort into the board. Other than that the board locks into presses and slides with ease and has you wanted to do more. Carving: It’s an asymmetrical board so of course it’s designed to carve. If you want to rip turns this is the stick for you. Lock into the carve whether toe side or heel side and don’t sweat the outcome. Short quick turns to tight radius Euro-carves are where this board is at home. Rider in Mind: The all mountain do it all guy that wants an asym so they can carve on their heel edge like they do on their toe. Personal Thoughts: This board never disappoints. It’s always a fun board to ride. Getting on it is like getting on a board you’ve been riding forever. You know it’s nuances and how it’s going to drive through a carve or pop off a roller. In my opinion this is the best board in the YES. lineup. Check out the past reviews of the YES. Great Dudes from 2010, 2013 and 2016. This board was loaned to us for snowboard review by Yes Snowboards marketing department. *Disclaimer this board hasn’t changed for 2018 and we carried over the 2017 review. Do you think the changes for next year’s model will make for a noticeably different ride? Afaik it’s more width nose to tail, RCR from 4-4-4- to 2-4-2, and Mid-Bite in the toe side. Should make it a bit more stable overall, no? No clue, have one showing up here in the next week to test out. Looking for a playful board that I can carve and add style for mellow off-piste riding in variable terrain when the snownis hard. (The rest of my quiver favours freeriding pow or otherwise soft snow.) Is the Greats what I’m after? Will the 156 fit my size 11s? If not, any other recommendations? Thanks! You probably want The Standard or the PYL from Yes instead. No luck on Yes availability. Going Niche, am I wanting the Aether or the Theme for being playful in hard, off-piste terrain. Aether or Story over the Theme. Hey angry about to order the 2019 model, size 11 boots 170lbs, not sure if I order the 154 (256ww) or the 156 (258ww). How did trialling the 2019 Greats go? I’ve got the ’18 deck and am contemplating pulling the trigger on the ’19 seeing that there’s been quite a few changes. Anxious to hear your thoughts. That hasn’t been dropped off yet and might not till early next season. But since i dont really ride switch all that much im wondering if a directional board would be a better choice? Basicly does a directional board offer way more than a true twin if you dont ride swith all that often anyway? I just really want a board with asym sidecut as i heard its mad fun for carving. Grab a Gnu Zoid and your problems will be solved. Wondering if you know much about the Yes Decade that’s coming out? I read it will be similar to the old Standard. I’ve got the 2018 Yes Standard 153cm and find it a little too wide for my size 8.5 boots and not great for jibbing. Love how it jumps and rides in pow though. Looking for a one board quiver that jibs better and turns quicker, what do you reccomend? I rode it the Decade, it’s solid for what you’re asking for. Is the Decade a noticeably different ride to the 2018 Standard? Is there any other boards I should at? Other option I’m considering is getting either a Head Space or Box Knife and keep the Standard. It’s like a beefed up Basic so it’s more like a twin version of the Typo. Whats your take on transworld snowboarding goodwood awards? are they legit or are they just participation award? Some of the boards you like, are on the list so im thinking its decent enough? 32 people over the course of 7 days ride 400 boards for 2 laps then they check a box with a number on it. After that they calculate the median score of what everyone said for those boards and give them an award. Why did a 173 Never Summer win best all mountain award? Answer me that. With TWS you have to pay to play. I’m an intermediate – leaning towards advanced level of rider. I’m 183 lbs, 5’9″ (yeah, I’m not skinny). I’m thinking about the 158cm. My current board is 156cm flat mid-flex true twin, and my main complain is the stuttering on high speeds and washed out turns. You probably want something a bit stiffer. Hey Angry, I’m thinking of ordering a 152 Greats. I normally ride a 150 Custom, so I’m not sure if the Greats would be a bit too big. I’m a small guy; 5’5″ 135lb with size 7.5 boots. Looking for an all mountain freestyle deck for carving and small/medium jumps. What do you think? Looking at this board as my first owned snowboard. I’ve been riding rentals until now, looking for a board I can mess around with all over the mountain and progress in almost all areas. 180lbs, 6″0 size 11. Is this the right board for me and what size should I get? I wouldn’t mind something 158, since it would be more all mountain focused in that size, unless I’m mistaken? It’s not a bad choice. Slim chance, but here goes: Did you ride the new 2019 Greats and the 2019 Mercury by any chance? Considering they are claiming they “totally redesigned” the greats, im wondering how it would stack up against the mercury? Looking for a do it all board. And only have 1 board in my quiver. Also small side question if I may, since i just saw the rad dad video: In your opinion can you compare the ravine and PYL? or is that totally like apples and oranges? I haven’t, but will be getting on it in either October or November. As far as the Mercury it’s upgrade doesn’t really change the overall ride of the board it still stays fairly close to how it was. PYL should be a little bit stiffer than the Ravine but not by much. I can’t decide between the Greats and the Typo for 2019.
and the occasional pow day from time to time. Want to progress hard time next season, also want to progress my switch riding a lot more. The Typo or The Greats? Thank you angry. The Greats gets a huge overhaul for next season. Haven’t been on it yet so can’t comment on how it rides. But either board will work for you. I just saw a review of the new 2019 greats on youtube and im in love with the asym shape. But I need to know if picking a twin board as a non-switch rider is the same as going snowboarding in white pants while having a case of cholera? 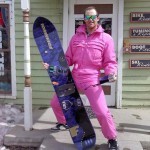 Will I transform into travis rice on a more directional board? Or is there actual differences that Id be stupid to overlook and getting a twin board? Note: Jibbing is not my thing, im brittle. And Yes, I know I keep pilling all the reason not to choose a twin board. It’s a snowboard it will do snowboard things you will survive. I guess I’m just worried if picking a directional board would provide me with benefits that would make my riding more enjoyable / quality of life improvements. 185lbs, 6″0 size 11 (does Burton shrink tech work?). Would be using it as a resort board for all mountain mainly. So groomers and dipping into the small amount of offpiste and trees you get these Places. Also playing on natural features, messing around and jumping. Do I get the 156 or 159? Lastly are Burton malavitas a good binding to pair with this board? Can get them for like 50% off the hemp look version. Yes. 56 for more freestyle, 59 for more freeride. Yes. This is what I ride aswell, groomers and then into trees like this, nothing super tight and the occasional tree gulley if I can find it. But the amount of snow and speed is what I can pull off aswell, decent intermediate. Do I get the new yes greats, or do I pick up something like the Lib tech Terrain Wrecker or iguchi rocker/coda rocker? The Greats gets a huge overhaul for 2019 and we haven’t been on it yet so can’t really comment on that. But the greats aside, what board you recommend for the riding style in that clip from min 2:22 til 2:35? I know almost all boards can do that if you got the skills, but what would be a good idea for intermediate – middle level intermediate? They can all do that. If a snowboard can’t do that then it’s fucked. How much longer do we have to wait for the 2019 review? The waiting is killing me. Probably when we start snowboarding regularly, get boards from the reps, have time to film it, edit it, and post it. Patience is a virtue, if you’re impatient, we just push it to the back to make the build up to it that much greater. Yeah thx, that would be great. OK we’ll post it sometime around the first of the year then. 2020? Before or after my subscription/contribution? Hi! There is a leftover 156cm greats from last season in my local shop. Do you think its enough for my 185-190lbs, or I should find something else? Thanks? Even if I’m more into jumps/stability? Wont I lose the snap this board is promising? How come park boards are the ones with asym designs? I take it asym boards are designed to be able to carve better – why is that such a predominant feature on park boards – where carving isnt really an important factor? Gnu Zoid, know it, love it, live it up. Thinking Smokin’ Awesymetrical, or The Greats. They seem like they ride pretty close to the same save for the extra contact points on the smokin? I usually ride 60/40 all mtn. Which one would you buy? You get on a 2019 yet? 2 hot laps in the preseason, going to try to see about snagging one sometime next week after the Holiday. Don’t rush, bougt it anyway. Love it! I’m 5’8″, size 9, and fluctuate between 155 – 175 lbs (aka im at 175 now and need to drop some pounds). I’ve heard the 2019 Greats rides a little bigger than past years. Do you think I’d be better off with a 151 or 154? I’ll be using it all-mtn, sitting side jumps, and buttering, and wanna hit more of the park. Hi ! Yes Greats or Never summer Proto type two or Gnu space case ? For all mountain freestyle board, fun and easy turning? Hi I’m looking for a fun resort board for dicking around, never rode an asym but interested to try. I’m an older rider from east coast, worked at copper in the mid 90s, now in Europe. I have a jones hovercraft, an old Burton Dragon swallow tail diy modifaction and an amplid creamer split. I need a fun board with a tail! You mentioned the gnu spam but how would this yes work out in your opinion? Or suggestions? Thanks! So the new Greats is a different board. You have to consider that and not go off this review unless you’re looking at last years. The Spam is a fun send it all around board. Yeah man I’m looking at last year’s deck..on sale! Oh well then, snag that now! And how about it being aysm, it really works, not just a gimic? Do u think goin for a positive stance on both foots will do for The grates? Size 10 US (the outer shell of the boot is 30 cm), 185 cm, 180 lbs/85 kg. Would a 154 Greats 2019 be OK? Or should I disregard it and move to 156? Got 160W Assiassin 2017/18, one board quiver but leaning towards 2 boards now – one softer for all mount freestyle that I could still still euro carve and a second stiffer freeride board for powder and hard charging- would Greats 154 suit me for the first? Would Nitro Fury 157 be comparable? Rails don’t matter but buttering does. You don’t want the Fury. Get the 54 Greats you should be fine with that. Considering buying 2019 Yes the Greats. Usually ride park, and sometimes hit all mountain. Will it be a good options? i’m looking for new park boards that is especially good for jumps! what will be the diffrences between them? Biggest difference will be flexes and camber profiles. Get the Process if you’re jumping more. so process stood out for jumps compare with them? and try to practice some rail stuff. + any recommendations for my new park board? so process is better “park board” than the greats and the head space? and how about head space? I decided too late that I wanted the 2019 Yes Greats. There may be one in a shop in Korea, but they haven’t responded to my emails written in English. The 2020 looks like the same board, that’s cool, but they f’d up the graphic. At least for me. I may end up being a sucker and getting a limited edition for more mula. How does one keep up on limited releases, follow them on facebook? I’d prefer to not have to use ig, or twitter. But whatever works. Thanks much!